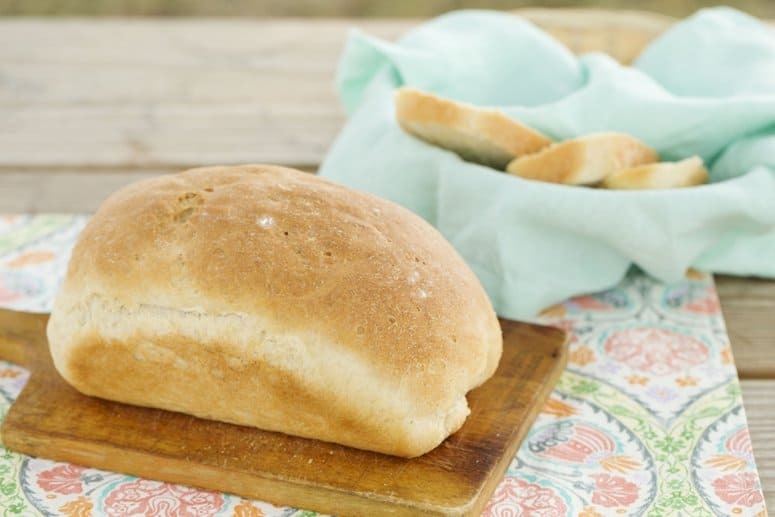 Making bread often seems like a daunting task if you’ve never tried it before, but this recipe is so easy and comes out perfect every time! 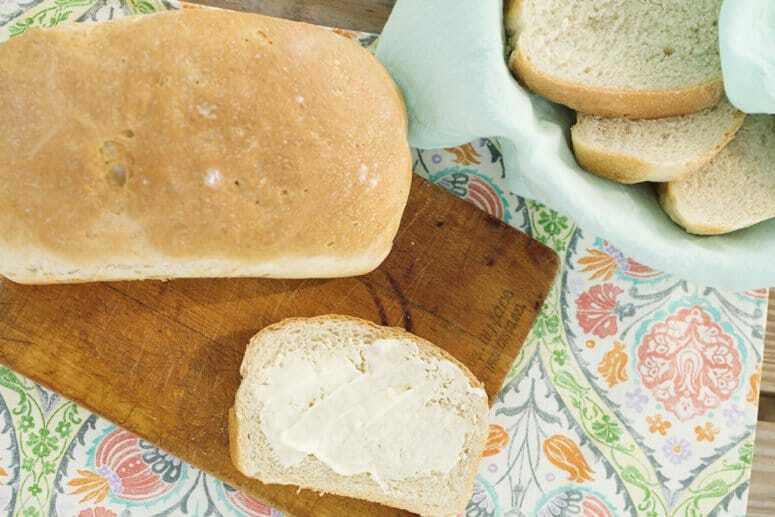 You can make this recipe using your preferred bread-making technique if you already have a favorite one. I prefer using my bread maker for fuss-free bread making. Be sure not to make the recipe far in advance of when you want to serve it. Each time I bake this bread early in the day it is gone before dinner. When the fresh loaves come out of the oven the incredible yummy smell has a crew of children standing around begging for a piece cut straight from the hot loaf! It’s pretty amazing I hid this bread long enough to snap a few photos! This bread does save really well, and stays very soft for about three days…but good luck making it last that long! 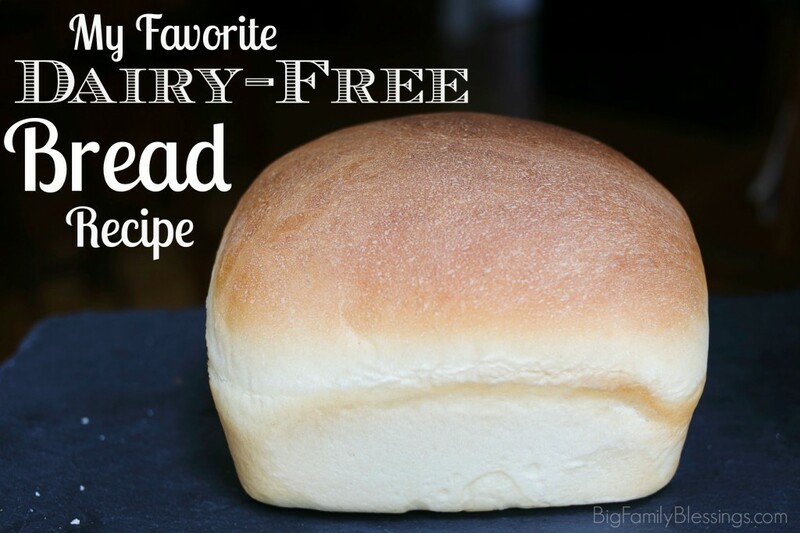 This delicious Dairy Free Homemade Bread recipe is not only delicious, but it is also simple! With only 6 ingredients, it is easy to throw together. I simply toss all the ingredients in my bread maker. 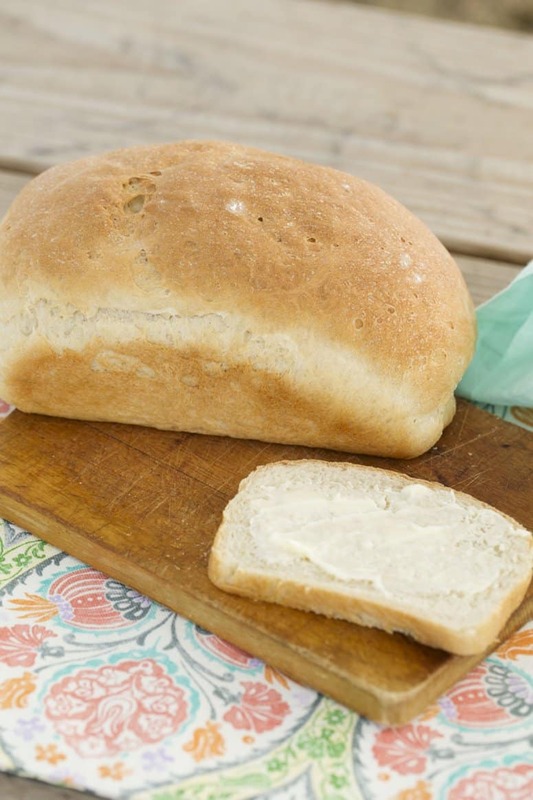 You can use your favorite bread making method with this recipe, it is not limited to a bread maker. 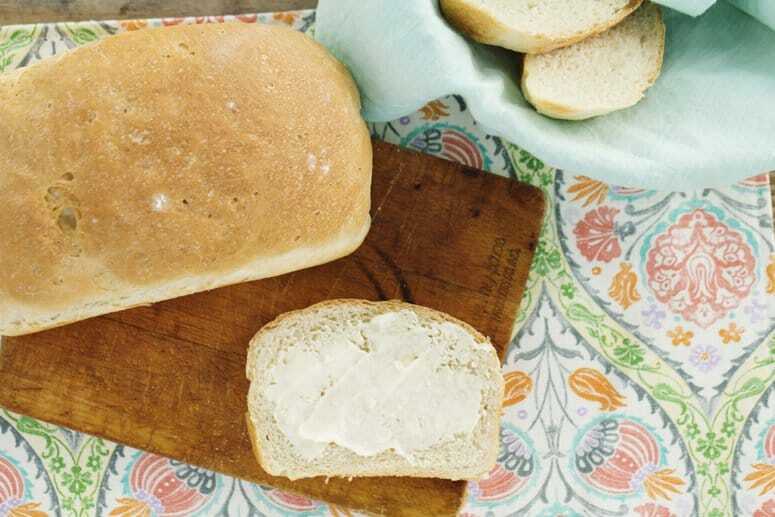 Throw all the ingredients into your bread maker, or mix/rise using your favorite bread making method. Shape the dough into to loaves and place in two greased loaf pans. Allow to rise until doubled, for 30 minutes to an hour. Bake in a 400 degree preheated oven for 20 to 25 minutes, until golden brown. Awesome!! I know quite a few people that are dairy-free so I will definitely pass this along!! Looks delicious!